Special TWiST Live for Ep600! 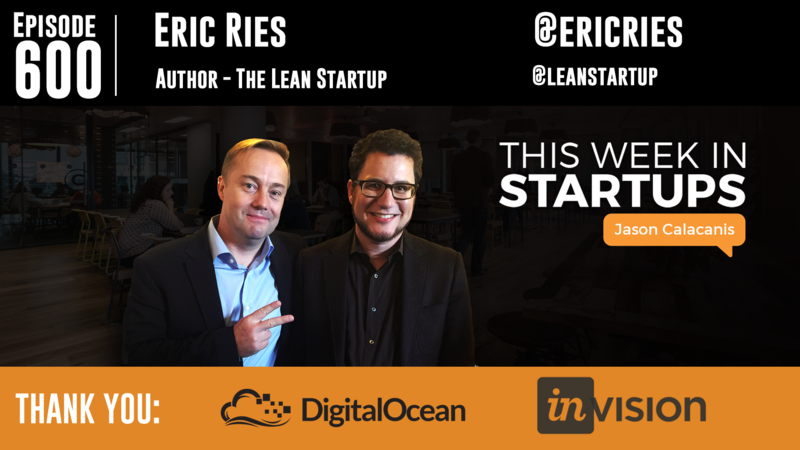 Jason talks to Eric Ries, author of “The Lean Startup” and the upcoming, Kickstarter-backed, “The Leader’s Guide.” Eric and Jason discuss in depth The Lean Startup methodology, what it means today with so many startups out there, and his plans for future publications and resources for supporting entrepreneurship. We hear Eric’s own lessons learned as an entrepreneur (i.e., don’t refuse customers who want to try your product), his insights into the law of sustainable growth and what it means, and secrets on how to measure exponential growth before the point of critical mass. Eric also takes questions from the live audience, answering questions about iterating a new product on a strict timeline, raising money, what makes a great VC, and what he would change if he had to write “The Lean Startup” again (hint: a lot). Thank you to our partner, Samsung Global Innovation Center, for co-hosting this special TWiST Live at WeWork Golden Gate! 0:00 – 3:37 600 episodes! We need to do more live shows!